12.1 is to add features more than crush bugs. I haven’t seen much bad news about iOS 12 since Monday. I thought 12 was supposed to allow the HomePod audio output selection on an Apple TV 4 to survive a sleep/power cycle, but that's apparently not the case. Hopefully, 12.1 adds this. 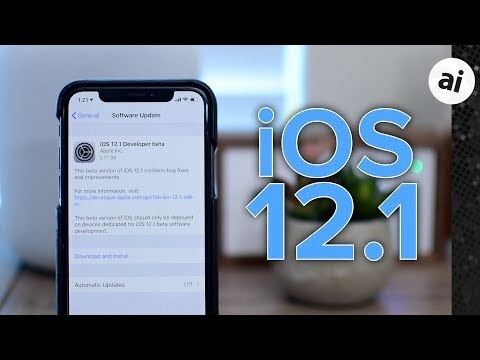 Looking forward to getting the IOS 12.1 & the features in it.